Located in the center of Wroclaw, the Duet hotel invites guests to completely renovated interiors where you will have a pleasant and relaxing stay. The friendly and attentive staff will make you feel just like at home. Nearby guests will find such attractions of Wroclaw like the Town Hall, the Main Square, the Panorama Racławicka, the University and the Ostrów Tumski. In the surrounding area you will find numerous museums, theatres, restaurants, cafes and pubs. 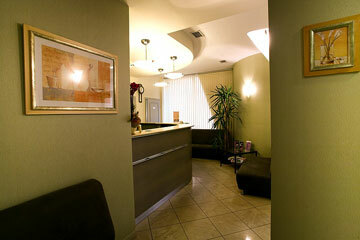 On the ground floor there is a business center with Internet access. 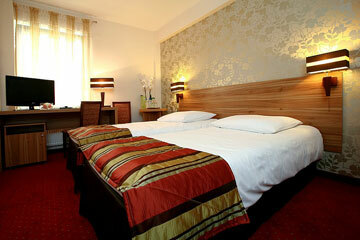 In the hotel's den there is an elegant restaurant serving delicious dishes of Polish and international cuisine. Till noon the restaurant offers rich breakfast buffet. And afternoon guests will savor a la carte specialities of the hotel's chef. 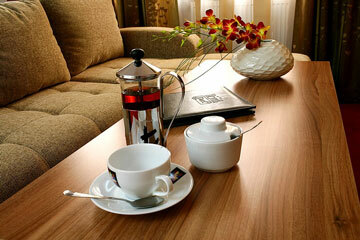 The hotel also offers an elegant meeting rooms for up to 60 participants. The professional staff will help in organizing any business and private event. Catering and audio visual equipment are also available. 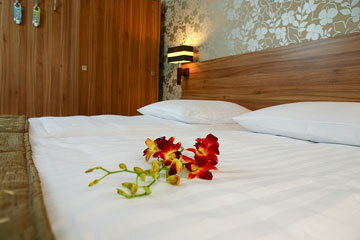 The Duet hotel offers 39 rooms including: 34 single and double rooms, 5 suites with 2 bedrooms. 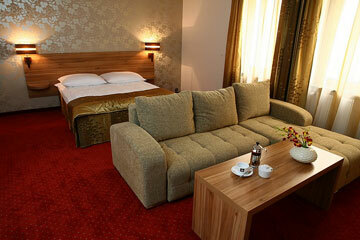 The rooms are modest but functional and cozy, decorated in quiet and relaxing beige colors. 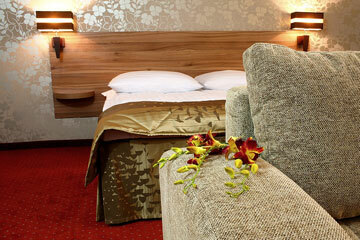 All the rooms have been completely renovated that gave them modern and elegant design. 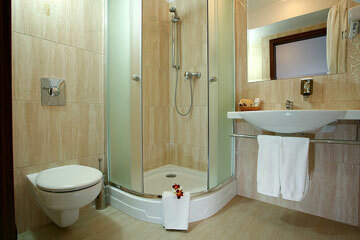 Each room has a bathroom, TV, telephone, air conditioning and Internet access. Furthermore guests will receive slippers, hairdryer, working desk. Walk up call is available. 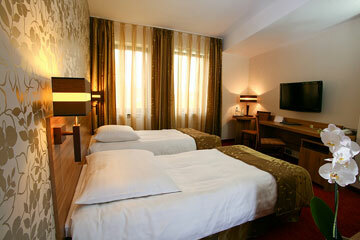 The hotel also offers cots, high chairs, and gifts for children. Non smoking rooms are available. The hotel accepts the following credit cards: DINERS CLUB International, MasterCard, VISA, Eurocard, Polcard and American Express. 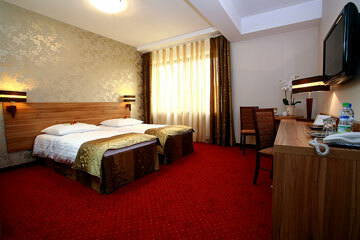 Hotel Duet is located in the city center.